In case you missed it, last week I collaborated with four other bloggers to share how we style our holiday reds, whether it be for our homes or for ourselves! You can catch yourself up in this post here. We are back to spread more holiday cheer, but this time in the form of sparkles! 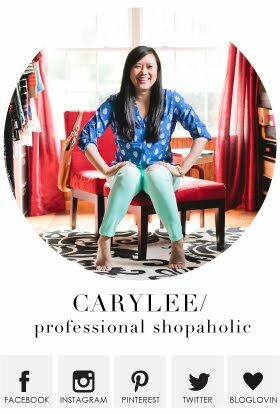 I have two pairs of sequin leggings in my closet that you can see here and here. I figured that since I've worn both of those on the blog already that I would give you sparkles in smaller doses this time. I am still all about going big or going home, so don't think I've gone soft on you! It's hard not to wear these glitter pumps and glitter clutch at the same time. They're like peanut butter and jelly. They're even better when they're a duo! I thought they were the perfect complement to my new plaid blazer. Admittedly, I don't have many blazers in my collection, but I always love the fit and quality of the ones from J.Crew Factory, so I'm always sure to browse through their options whenever they are having a crazy sale. 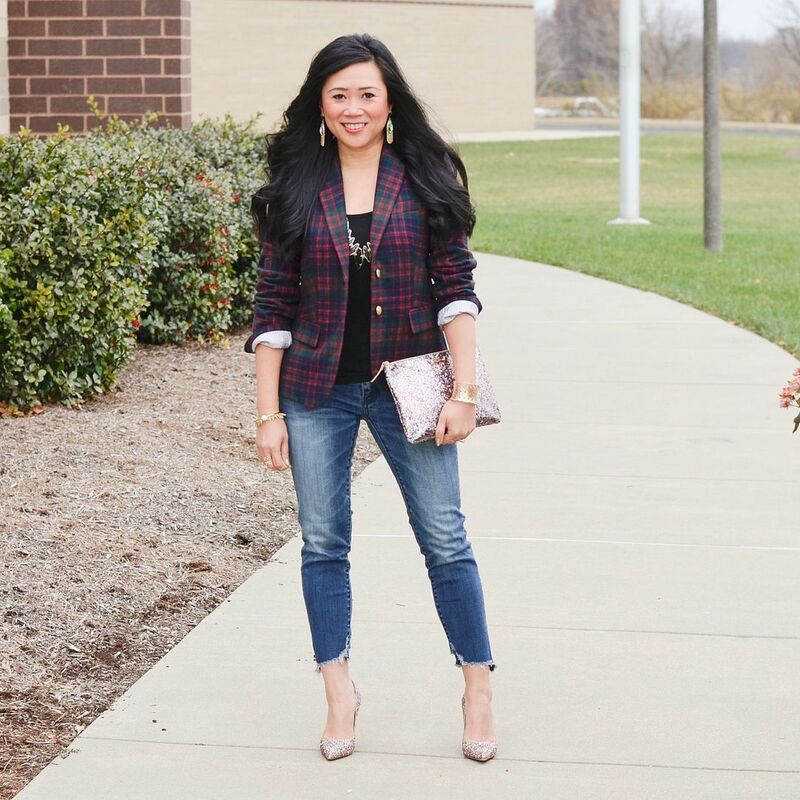 This plaid is perfect for the holidays! It makes me so happy! I loved the idea of pairing such a structured, more conservative looking blazer with fun pieces like my ripped hem jeans and all the glitter. I feel polished with a little bit of edge, and this look would be perfect for a casual holiday party. 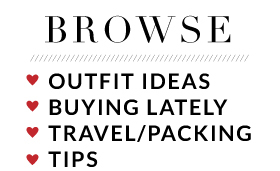 You could also make it just a little dressier by swapping the jeans for black skinnies. The accessories really kick the outfit up a notch or two. I had to give you a closer look at my mani also. Noelle just posted her gold, sparkly mani on Snapchat, which inspired me to do the same. I recently learned about latex tape. How have I never known this genius invention ever existed before is beyond me! Especially considering how much I paint my nails! I don't usually do nail art at all, which may be why, but still!! I recently saw this tutorial about how to properly apply glitter polish so that it is nice and opaque vs. just a clear coat with random glitter flakes. The day I saw it, I found some latex tape on Amazon and immediately tried this new-to-me application process and it works like a charm! My love for glitter polish just got real! The other trick I've learned about glitter polish is how to take it off without using all your brute strength. Simply apply a coat of polish on top of the glitter (any polish, preferably one you don't care about because you will end up taking it right off), and while it is still wet, use nail polish remover and a cotton ball to remove the polish like normal. The wet top coat somehow binds itself to the glitter making it super easy to remove. (Technique #3 in this video here.) I love that glitter polish is pretty to look at and not as daunting as it initially seems to apply or remove! Hooray! 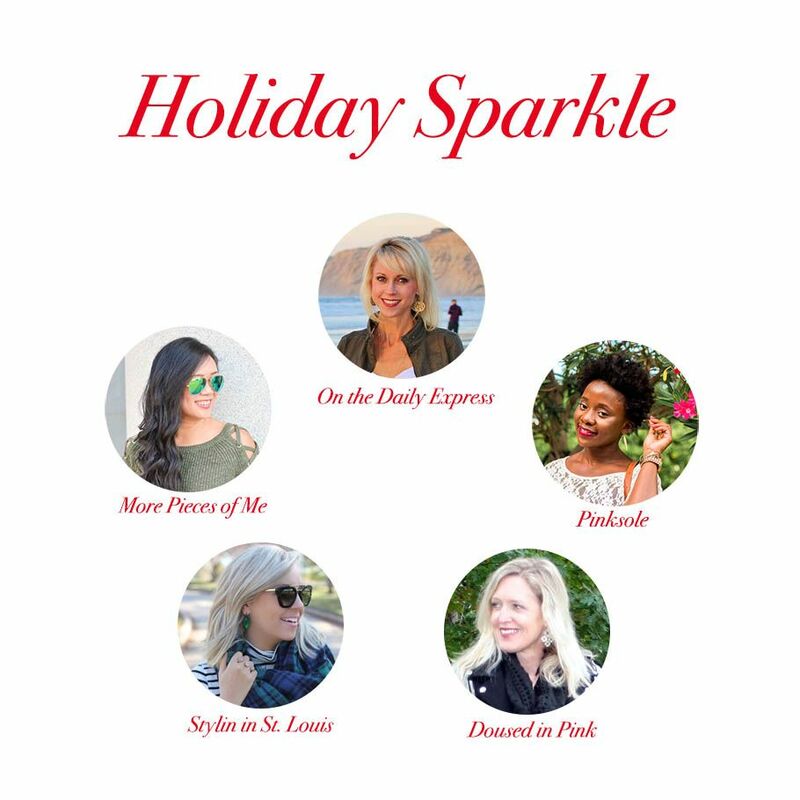 To see how each of the ladies in this collaboration are sparkling this holiday season, stop by their blogs using the links below the image above! You can also loop your way through each blog post in the series by heading to Jill at Doused in Pink next! Love this look it's both fun and classy. You nails came out so good, I have to do my mani soon and I cannot wait! 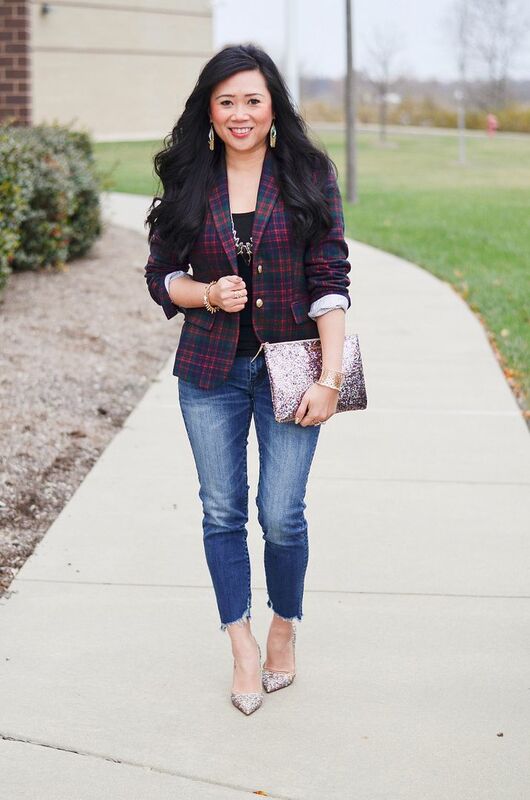 Love that plaid blazer! I'm also loving your sparkly shoes and clutch! First, I am loving your glitter polish tips! I usually do some glitter manis this time of year and taking them off is the worst so I can't wait to try your removal trick! Second, I loooove this outfit! 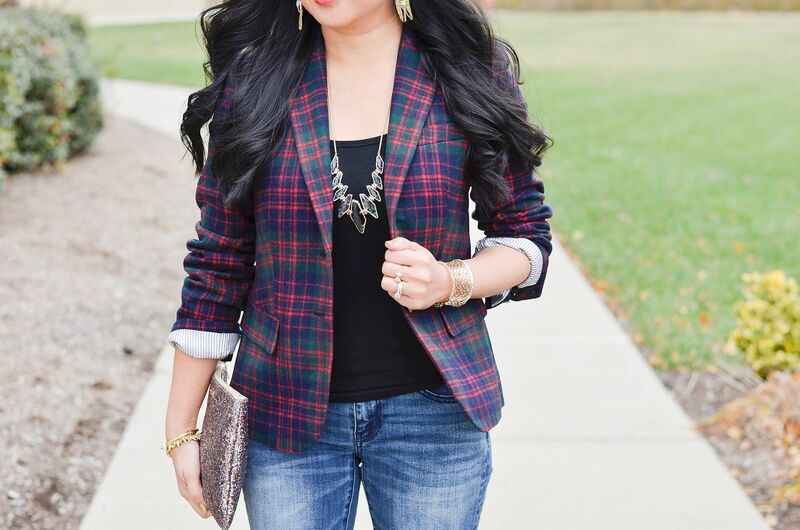 Love the idea of a plaid blazer for the holidays and it's not something you see all the time. Eek! This blazer is too cute!! Ahh...and thanks for the info on the latex tape. I saw a tutorial video on Kendra Scott that showed that and I was like what the heck...did they just put glue around the edge? 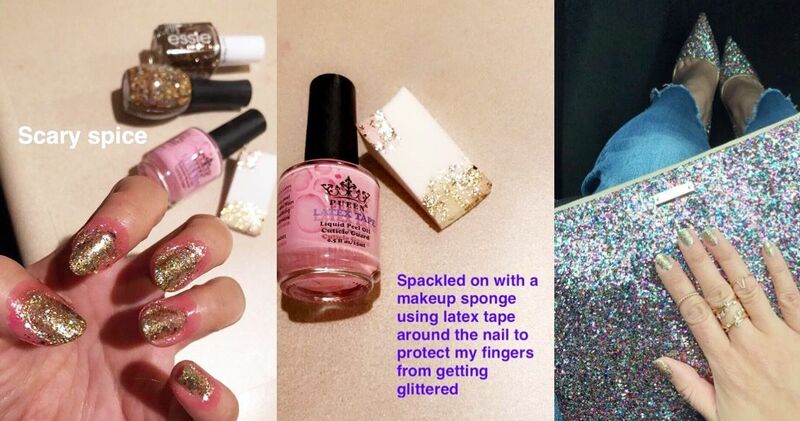 What a great tip about taking off glitter polish! I need to try that! And I love that plaid blazer and those amazing heels! 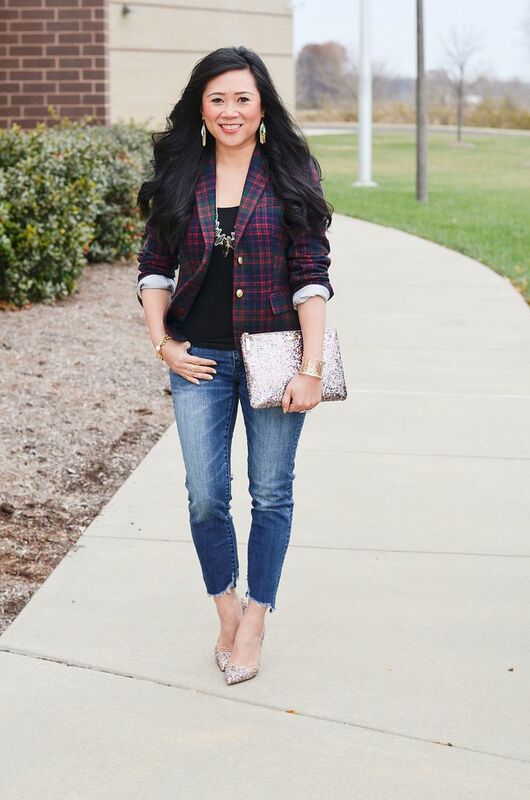 Sparkle and plaid are one of my favorite holiday combinations! That blazer is fabulous! I might need to get this latex tape! I paint my nails all the time! Thanks for sharing!